Size: �17 ��x 3 ��x 17 ��. 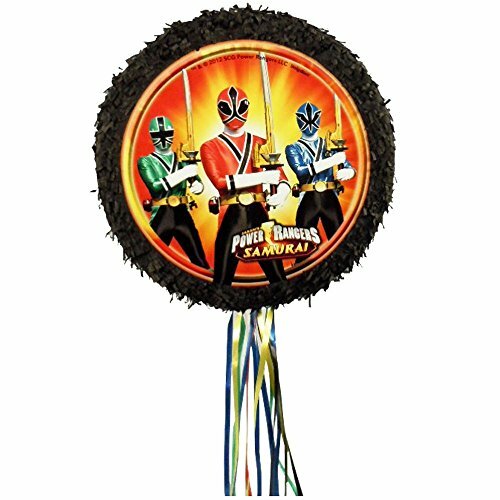 The Power Rangers Pull String Pinata will make your upcoming Power Rangers themed birthday party action packed! This is a black pinata with an image of the Power Rangers Samurai on it looking ready for action. This is a pull string pinata so all the candy will fall out after you pull the strings that are attached on the bottom.